At 4 Waste Removals, we offer green skip bins in Brisbane which are used by homeowners and business owners. If you’re not aware of what a green skip bin is, they are just like a normal skip bin but are used to dispose of large amounts of garden waste rather than regular waste. They are much larger than the council’s green bin service, and they allow you to dispose of your waste easily and effectively. If you’ve never hired a green skip bin before, then chances are that you don’t know much about them. 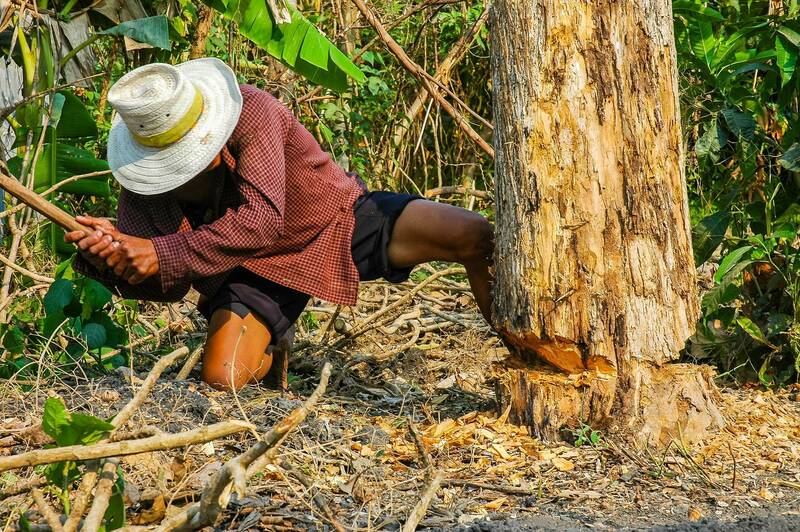 Today, I will tell you more about them in the hope that you’ll consider hiring one for your next garden clean-up. So, continue reading to discover all you need to know about our green skip bins. 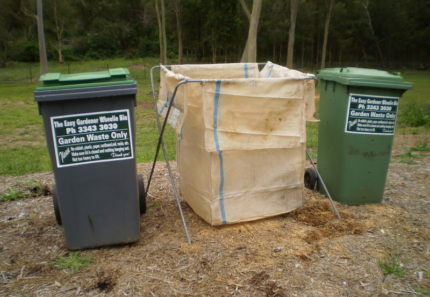 Hopefully, after reading through, you’ll consider us over other green skip bin providers in Brisbane. Most green skip bin providers offer differently sized skip to cater to different amounts of waste. However, you won’t find this with us at 4 Waste Removals. Our skip bins are only available in a standard size, but they include fill levels ranging from 2m³-12m³. We charge you only for the amount of garden waste you fill into our green skip bins and not for the entire bin itself. This way, you need not estimate your garden waste before hiring a skip. And, you’ll never have to worry about being paying for a half empty skip. We accept only 100% green waste in our garden skip bins. This includes most types of garden waste such as lawn clippings, dead foliage, dead twigs and branches. However, we do not accept soil or logs larger than 200mm in diameter. Unlike other skip bins, our garden skip bins offer walk-in access – right into the skip. This is because our skips feature a rear-hinged door which can be swung open. Walk-in skips offer huge benefits over standard skip bins. You can simply carry your garden waste (or use a wheelbarrow) into the skip. There is absolutely no heavy lifting involved, and you won’t injure yourself in loading our skips. Moreover, because you can walk into our skips, you can pack your waste more efficiently. 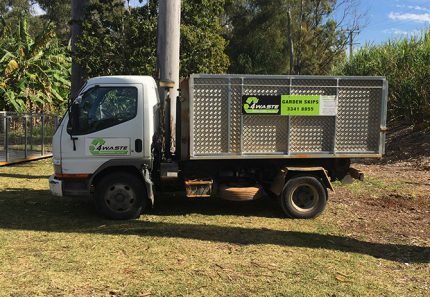 Most skip bin providers in Brisbane, including us at 4 Waste Removals, offer green skip bins on a 7-day hire basis. When you hire a skip from us, we’ll deliver the skip to your requested location on your requested date where it will remain for a week. When your hire period has ended, we collect the skip to dispose of your garden waste in an environmentally friendly manner. 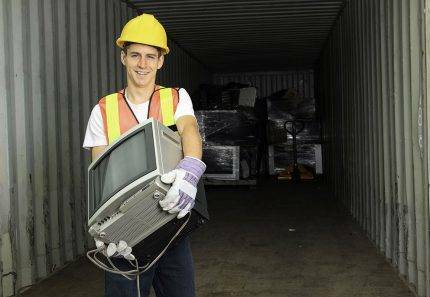 At 4 Waste Removals, we’re proud to offer green skip bins in Brisbane at the lowest price possible. You can hire one of our green skips for as little as $140! When it comes to disposing of large amounts of garden waste, green skip bins are an excellent choice. At 4 Waste Removals, our skip bins are available in a standard size with varying fill levels. We accept only 100% green waste and unlike standard skips, our skips feature walk-in access. 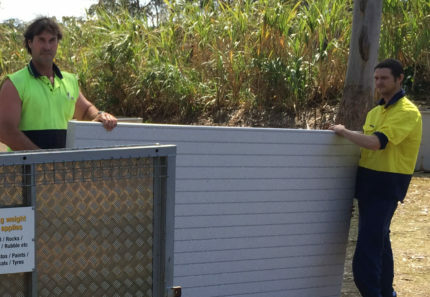 To hire the best green skip bins in Brisbane, look no further than us at 4 Waste Removals. Our skips are available on a 7-day hire from as little as $140! Call us at 07 3343 3030 to book one of our skips or make an online booking today!